A broken man. A robotic ape. A world of possibility. Verloc Nim – addict, estranged father, amnesiac – wakes up in the middle of nowhere. Piecing together the events of the recent past, Verloc reveals the misery of his own life, and the beginnings of something new and entirely unexpected. Because on the last inhabitable planet to be discovered, at a forgotten scientific colony, impossible things are happening. 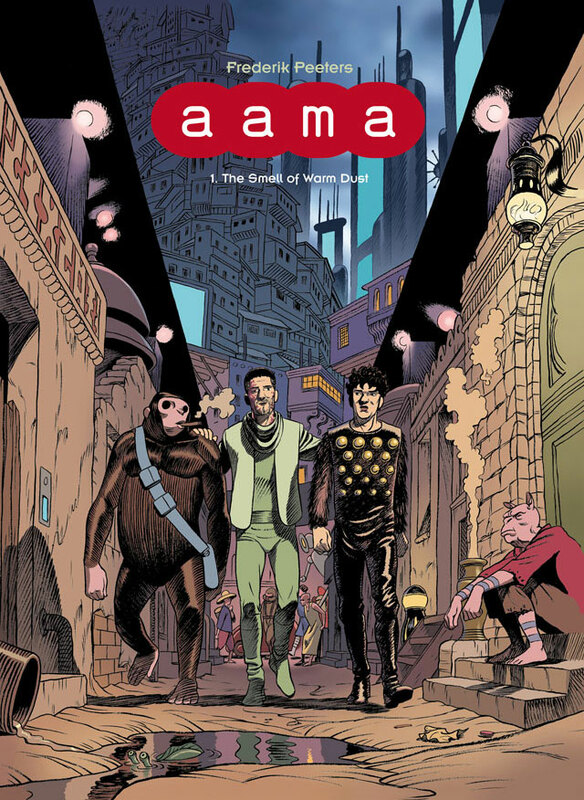 A beautifully realised and intriguing vision of the distant future, The Smell of Warm Dust is the first volume of Frederik Peeters' award-winning series, Aama – a gripping blend of existentialism, mystery and action. 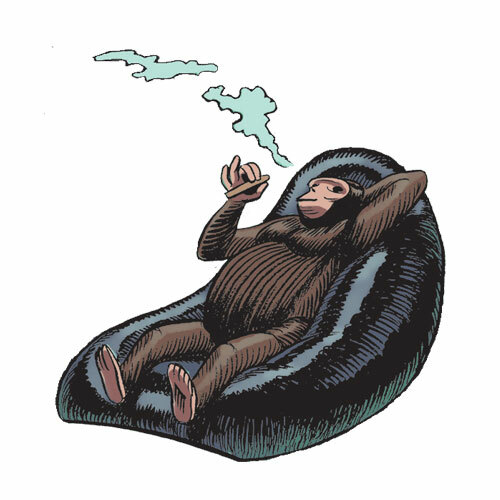 Frederik Peeters is an award-winning Swiss comic book artist best known for his autobiographical graphic novel Blue Pills. 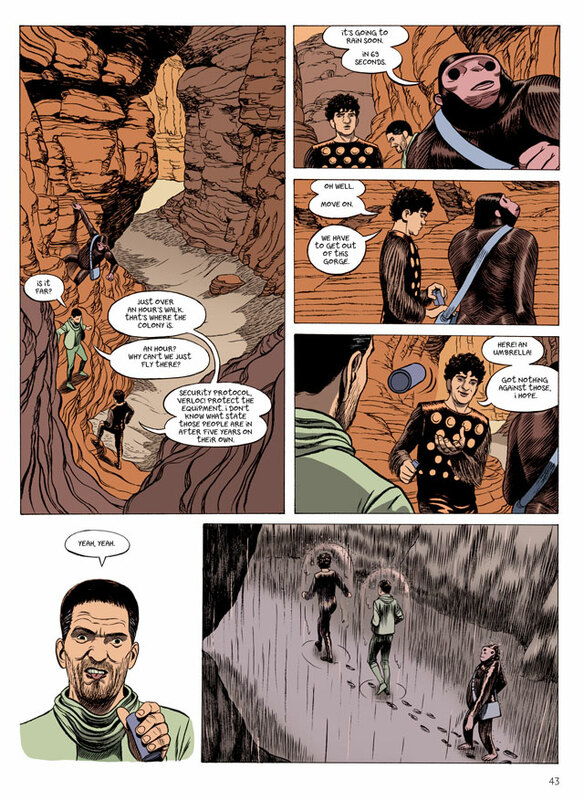 He has received five nominations in the Best Book category at the Angoulême International Comics Festival. In 2013, he won the Best Series prize at the same event for the first two volumes of his science fiction series Aama. 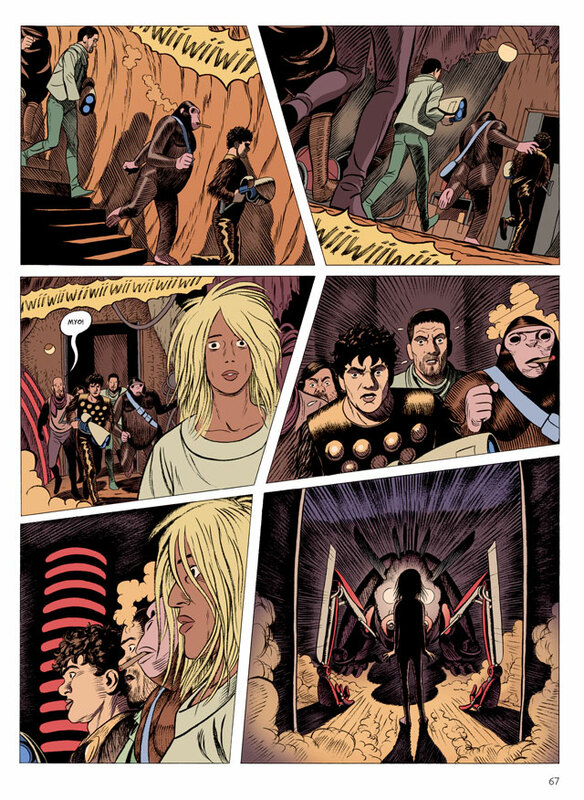 Peeters is also the author of Pachyderme, Sandcastle (with Pierre-Oscar Lévy) and The Smell of Starving Boys. "This is classic Euro sci-fi... gloriously bizarre." "A fresh tale that's both suspenseful and elegiac."